Inspired by the weekly #RNchat and a nurse colleague, @philbaumann, welcome to the infusionRNchat on twitter – #IVchat. The “infusionRNchat” or @IVchat or #IVchat is a global on line chat on Twitter for RN’s and other health care providers involved in the specialty practice of infusion therapy, infusion nursing and vascular access. 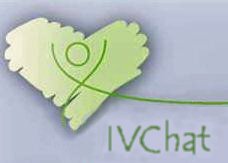 Why should you join the #IVchat on twitter? Keep up to date on the latest topics on infusion therapy, infusion nursing, or vascular access. You know you want to be in the room where “great ideas” are discussed. Many thanks to my colleague, Phil Baumann (@philbaumann and @RNChat) for the inspiration and information on how to put a chat together. Thanks Phil! ← mAb….what’s in a name?